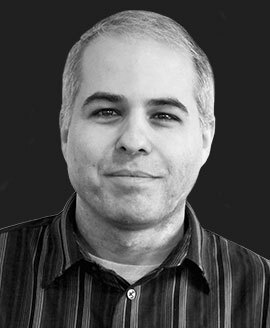 Aaron joins Galileo with over a decade of experience in market research and brand strategy, drawing on a unique background that combines science and art. His degree in mathematics has allowed him to hone his analytical skills and, as a high school teacher, to master the decoding of spoken and unspoken cues—including unpacking his students’ favorite phrase, “I don’t know,” in hundreds of ways. From his work exploring the universal truths of human behavior as an award-winning playwright, Aaron has developed methodologies & team workshops based on collaborative, theatrical techniques, as well as crafting clear, compelling stories that bring research insights to life. In his time as an independent consultant and as director of the healthcare teams at Sachs Insight and Clear, Aaron has worked with a range of companies from Top 10 pharma, including Merck, Pfizer, Sanofi, and Novartis, to fledgling biotech and health app start-ups. He has led multiphase projects in the US and globally, across a wide variety of therapeutic areas including diabetes, oncology, cardiovascular, respiratory, pain management, cystic fibrosis, multiple sclerosis, and vaccines. He is particularly interested in exploring how patients manage multiple chronic conditions.